Lock in a great price for Hotel Taodomus – rated 9.4 by recent guests! Great breakfast. Very nice staff. Wonderful bedding. Wonderful hotel! Room with balcony, location, rooftop breakfast were all perfect. Location and staff and views from the roof top!!! Perfect place to stay in Taormina!!! Fantastic breakfast. Very friendly and helpful staff. Comfortable bed. Danielle was extremely helpful and attentive throug our three day stay. With our early morning flight he left a sack of breakfast goodies in a bag for us to pick up as we were leaving the hotel. 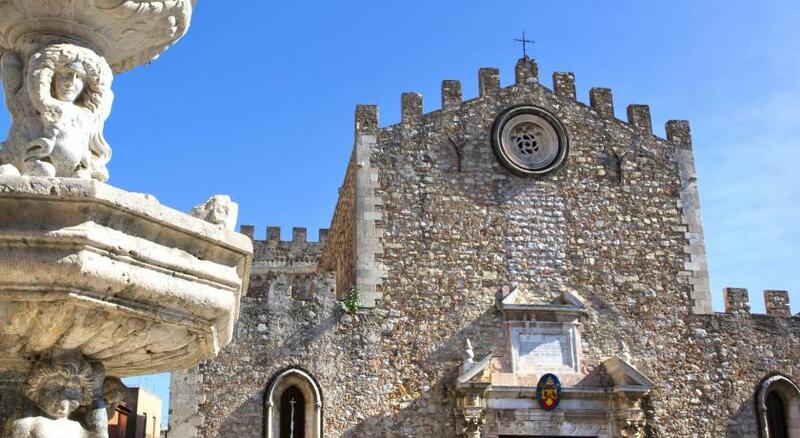 The Hotel Taodomus is an excellent value for location within Taormina, close to everything. The staff are extremely accommodating - Valentina was a great resource for what to do and where to dine - excellent recommendations! and Daniel took very good care of us as well. The breakfast was excellent and the roof top lounge has a great view and is very comfortable for both breakfast and for socializing before dinner. 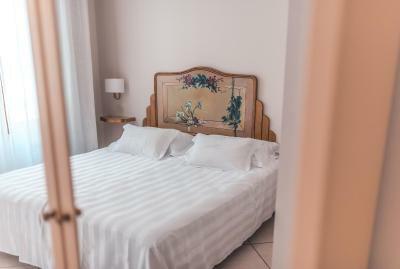 The hotel rooms are small but the bed was very comfortable, linens were soft and luxurious and the bathroom was spacious enough ( not something one can often say about Italy boutique hotels). The hotel elevator was a plus. We thoroughly enjoyed our stay here. Excellent breakfast on a beautiful terrace with an excellent view. Comfortable room . Near elegant amenities. Very helpful and personable staff both at the front desk and at breakfast. Just a very lovely place. The staff were so lovely. You felt at home. The breakfasts were beautifully displayed and they would be baking the next days breakfast items in the open kitchen next to where you eat. The view is beautiful and the honesty bar is a lovely idea. Location was fantastic. The rooftop view was amazing as was the wonderful breakfast. Hotel Taodomus This rating is a reflection of how the property compares to the industry standard when it comes to price, facilities and services available. It's based on a self-evaluation by the property. Use this rating to help choose your stay! 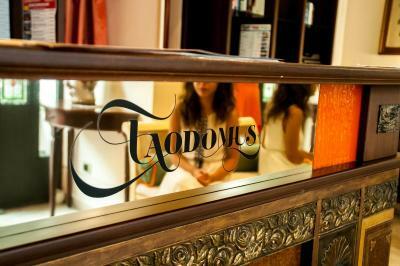 Taodomus is a boutique hotel set on the famous street, Corso Umberto I, in the heart of Taormina. 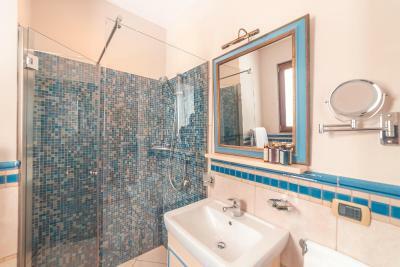 It features a panoramic terrace overlooking Mount Etna and the bay and has free Wi-Fi. This cozy hotel has just 10 guest rooms, all with air conditioning. A free internet point is available in the business center, along with free Wi-Fi internet access throughout the entire hotel. Breakfast is served on the terrace or in the comfort of your room at no extra cost. It features local products and organic ingredients. 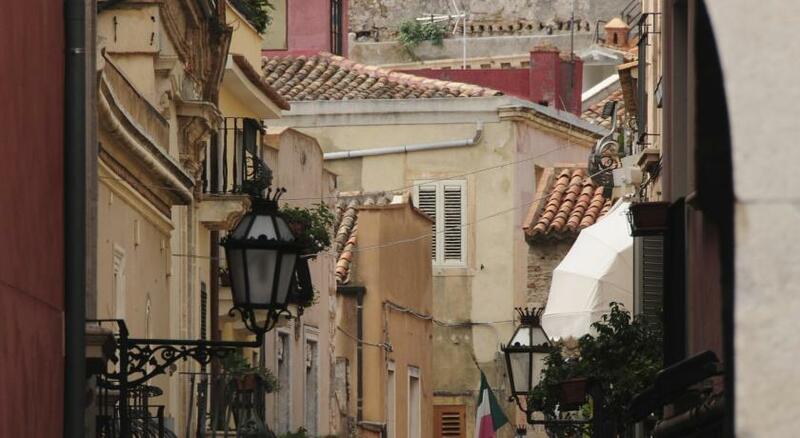 Hotel Taodomus is in the heart of the historic center, a 10-minute walk from the Greek Amphitheater. Subject to availability, guests can use the swimming pool at a nearby hotel for an extra fee. When would you like to stay at Hotel Taodomus? 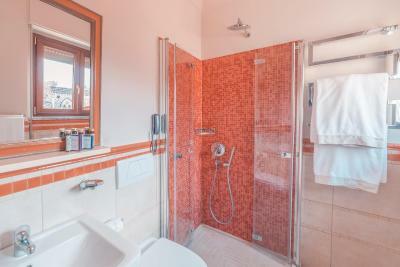 This air-conditioned room features either a balcony or a window and a marble bathroom with shower. Amenities include a TV and a minibar. 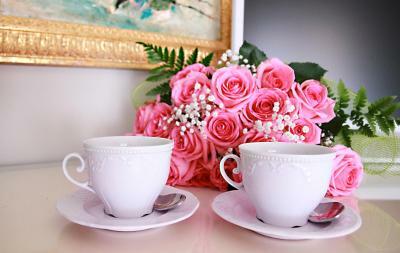 Furnishing are entirely hand made. If you expect to arrive outside front desk hours, please inform Hotel Taodomus in advance. House Rules Hotel Taodomus takes special requests – add in the next step! Hotel Taodomus accepts these cards and reserves the right to temporarily hold an amount prior to arrival. Guests are requested to inform the property of their estimated arrival time in advance. This can be noted in the Special Requests box during booking. In the event of early departure, the guest will be charged for the entire booked stay. Please note that, during holidays, parking fees may be higher. 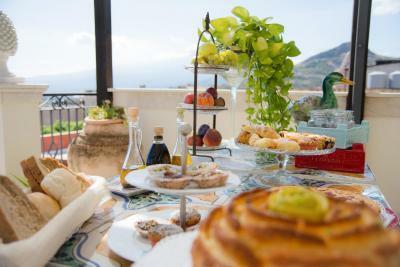 Excellent breakfast, and a good central location from which to explore Taormina. The staff were polite, friendly and helpful. Rooms were comfortable and clean. Parking was available nearby. Room was slightly smaller than anticipated but the location made up for it! Nice breakfast, good fresh crepes. Lovely view of Etna. Breakfast was great - an interesting selection, plus a la carte menu. 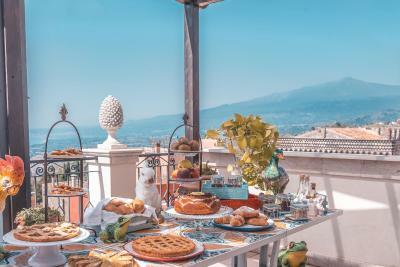 Amazing location - breakfast on the varanda with a spectacular view of Mount Etna. This is a very nice place to stay with a stunning view from the roof top terrace where you have a really delicious breakfast! They offered us a private parking spot and spent a surprise for my wife's birthday. Very helpful and nice people. Plenty of steps to climb. Very friendly staff. Ladies at reception desk were very kind and helpful. 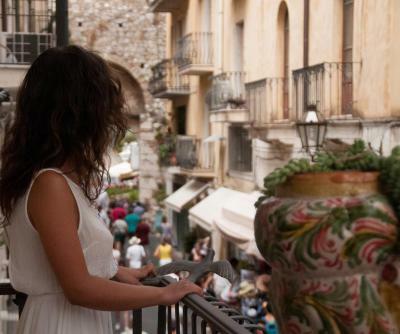 They gave us tips regarding things to do in Taormina. They even helped me book a trip to ETNA and taxi to the airport. Breakfast was wonderful especially with great view from terrace and with very kind ladies preparing our breakfast. They did make fresh omelette upon our request. Location cannot be beaten as you are on curso Umberto. 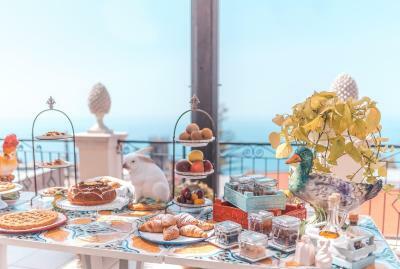 On arrival and during the stay, the reception & breakfast staff could not have been more helpful The location is perfect and the breakfast is simply superb. Great location! Staff members were very helpful and friendly. Breakfast was amazing with a large selection. A bigger balcony would have been nice but given it was an old building in the centre of town a small balcony was a bonus so this is not really a 'don't like'! Breakfast was superb. the view from the breakfast room to Etna was amazing. The staff couldn't do enough for us and the hotel was absolutely spotlessly clean. 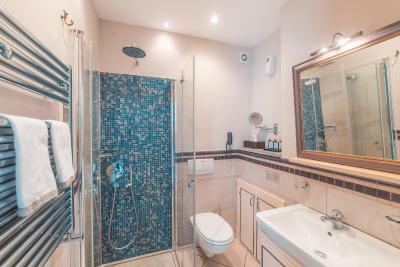 We were checked in by Valentina who was extremely helpful, friendly and knowledgeable. She helped us take our suitcases to our room. Room was lovely, spotlessly clean and very well equipped. The buffet breakfast was wonderful, befitting of a 5 star hotel. The ladies at breakfast (Guilia & 1 other) were wonderful. The pancakes were the best I have ever tasted.